Durga Saptashati is a part of Markandeya Purana (one of the oldest 18 Mahapuranas). It is also referred to as the Chandi Patha or Chandi. Durga Saptashati book contains 700 verses, which describes the various forms of Maa Durga, present iconography and glorify goddess Durga. These 700 verses have been divided into 13 chapter and these chapters into 3 sections, which are known as First Episode, Middle Episode and Final Episode. 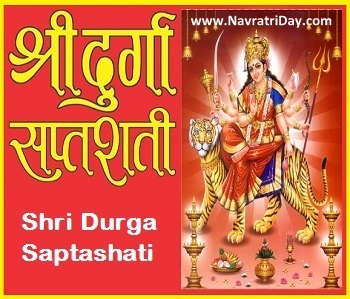 During navratri festival, chanting sacred book of Durga Saptashati has special significance. The devotees must recite sacred Durga Saptashati book very clearly to please Durga Maa.